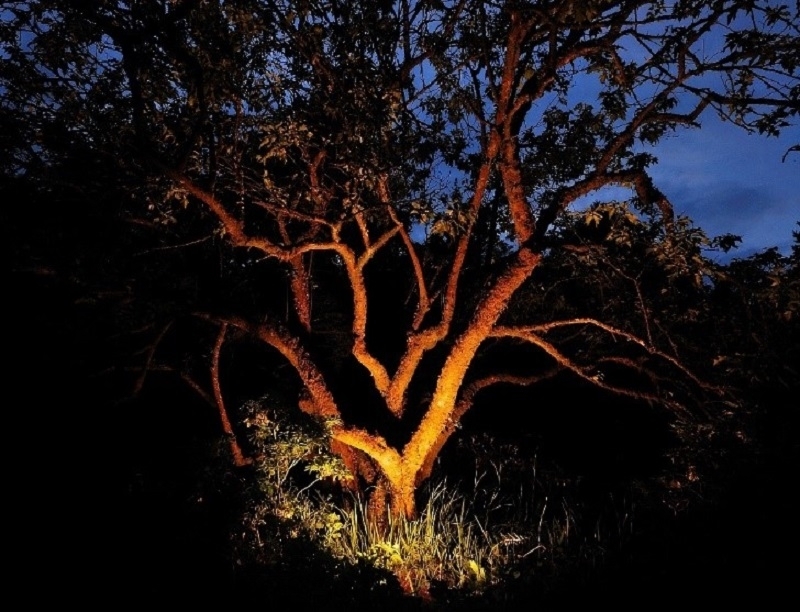 Depending on the spread of the tree use either a wide 60° beam light or a medium 36° beam light. Multi stem trees are unique in the sense of having multiple stems, this makes them very interesting trees to light. 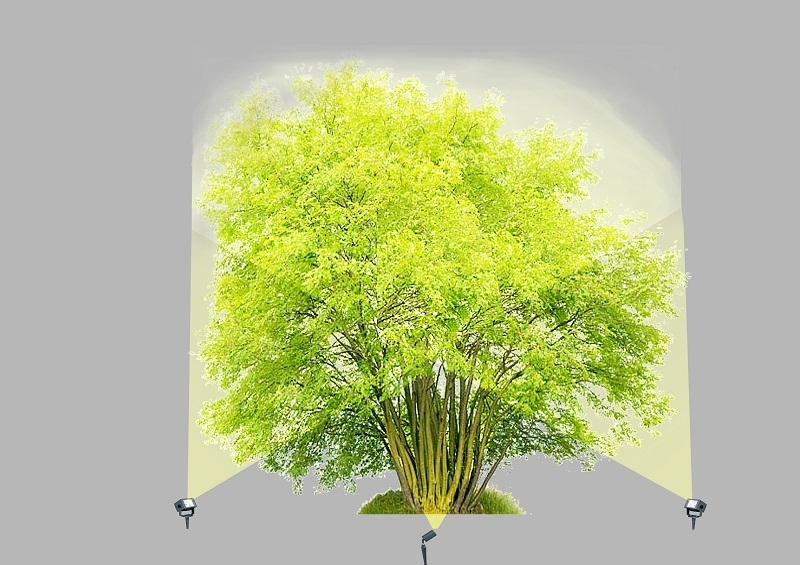 Start by lighting the canopy of the tree from the outer edge of foliage. The next step is to light the stems of the tree, you can do this by lighting from in front of the tree to show the stems, or from behind to silhouette the stems and create some interesting shadowing effects. 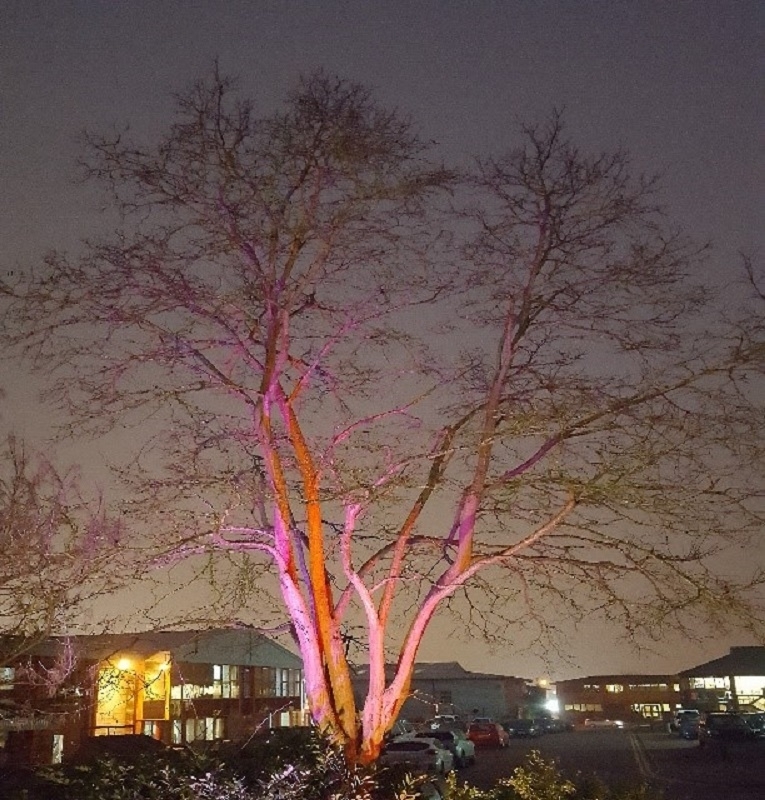 Coloured lighting may also be used to create dramatic effects.